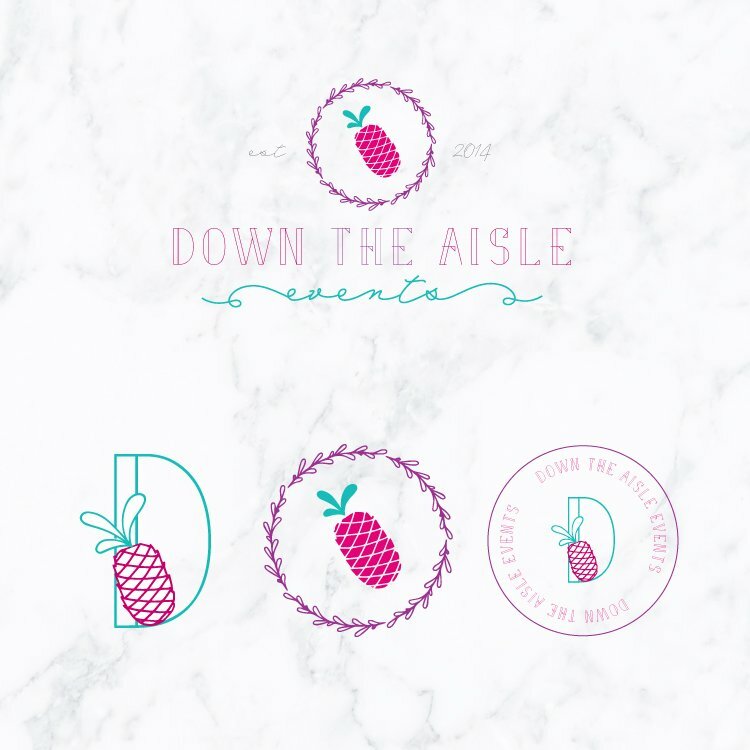 Down the Aisle Events is a wedding planning company that focuses on coordination and execution instead of design or styling. 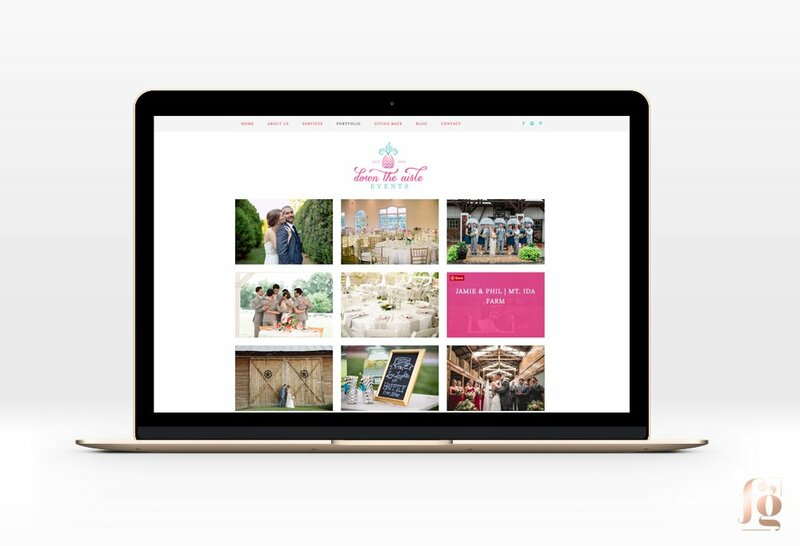 They offer peace of mind and stress relief to brides in Virginia and surrounding places. 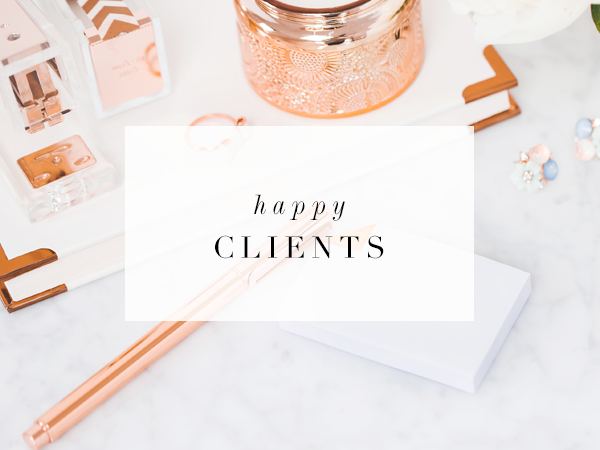 Their ideal client is relaxed and fun, loves pretty things but isn’t extravagant. We had to communicate that in her branding. Luckily, Ginny Krauss was on board as her brand coach and strategist! 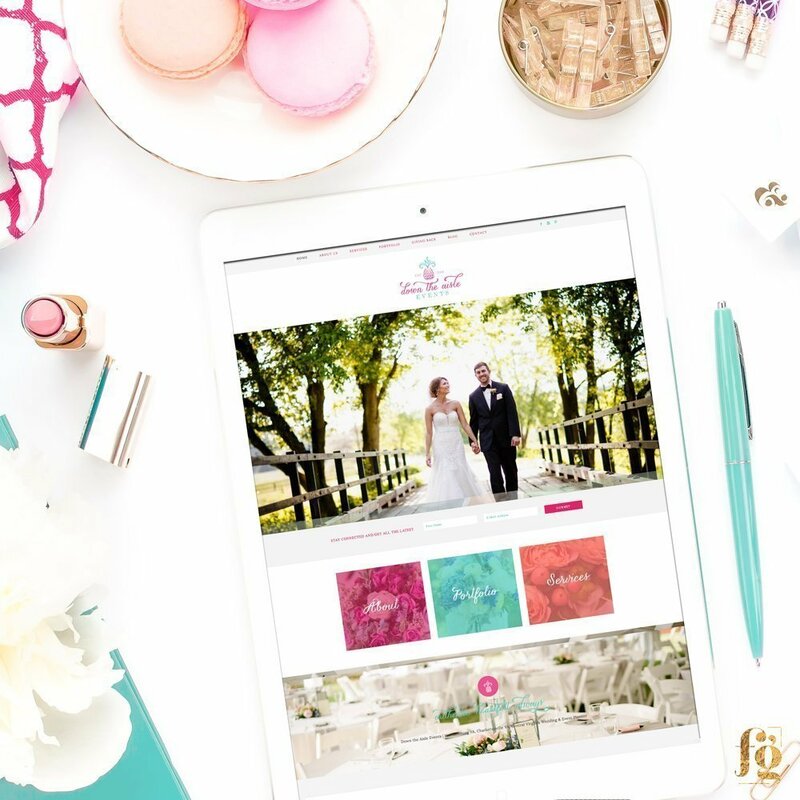 Ginny and I offer a complete branding experience for wedding professionals that include brand strategy with Ginny, and a total brand identity design from me, with Ginny overseeing everything. I love working with her because she helps our clients to communicate their requirements in a way that I can understand clearly! 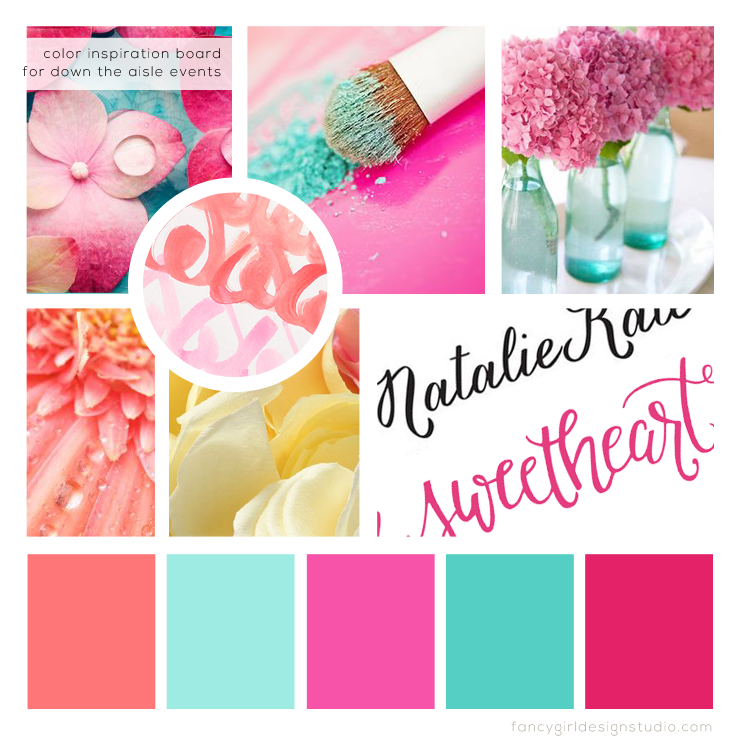 Here is the mood board that I curate from the Pinterest board that Ginny and Julia worked on. Here are the logo options I presented based on the design brief that they sent. 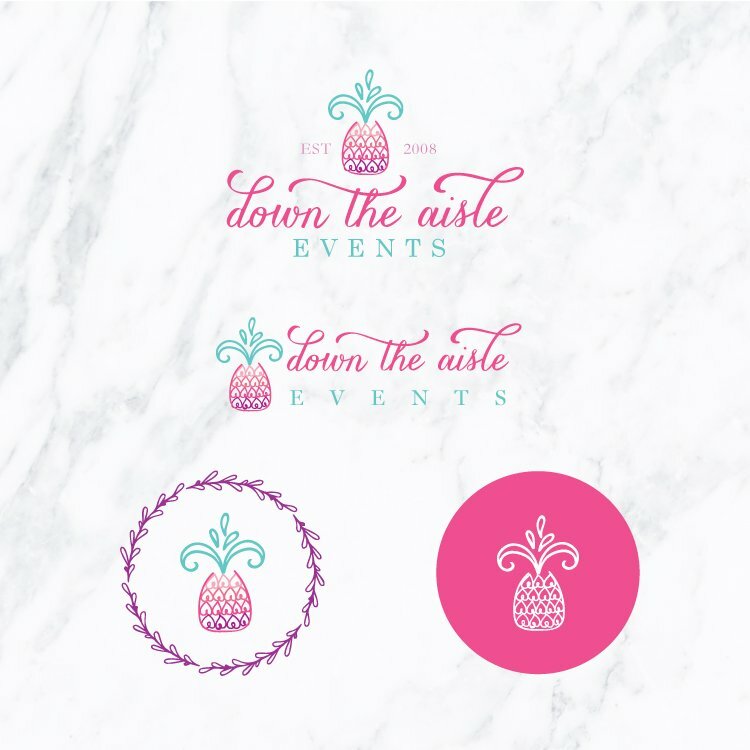 Julia, the client, wanted to incorporate a pineapple icon in the design. I drew one that had hearts in it! I thought it was a perfect symbol for everything their core values. 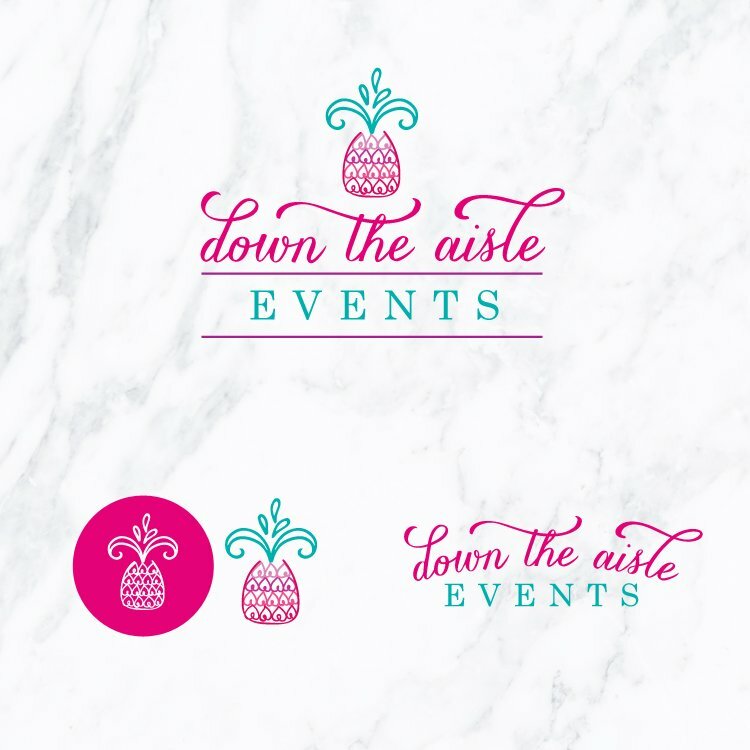 Here is the final logo set that she approved. 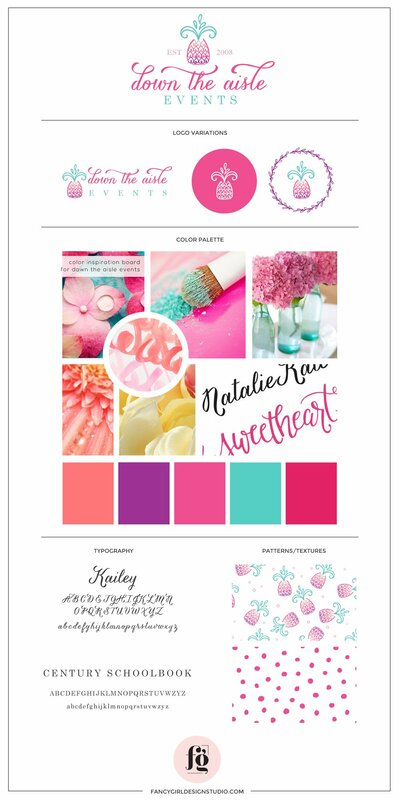 Here is her brand board that shows the entire logo set, patterns, typography, and color palette. 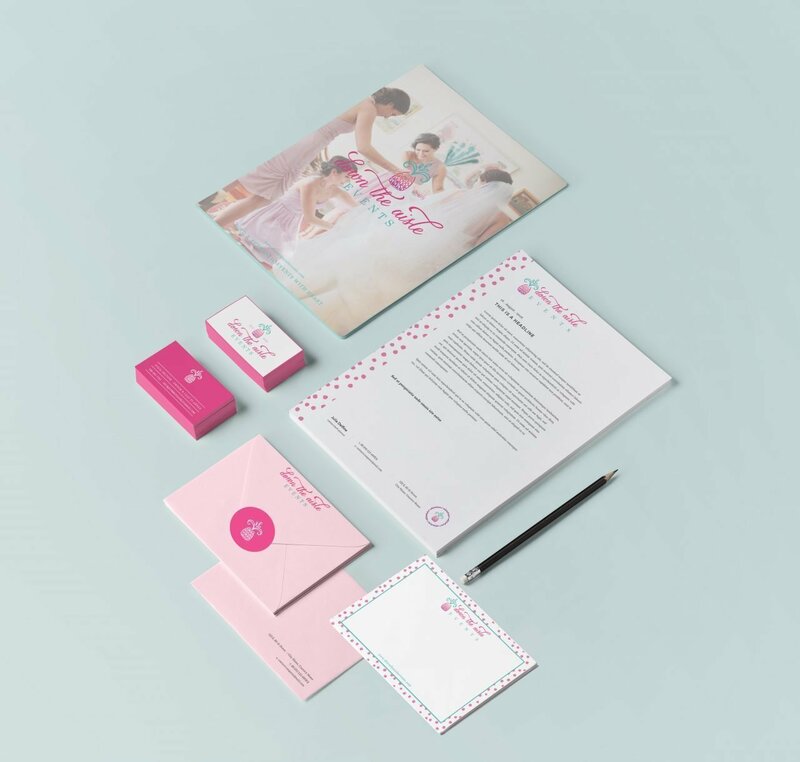 Each branding client gets a brand guide like this. 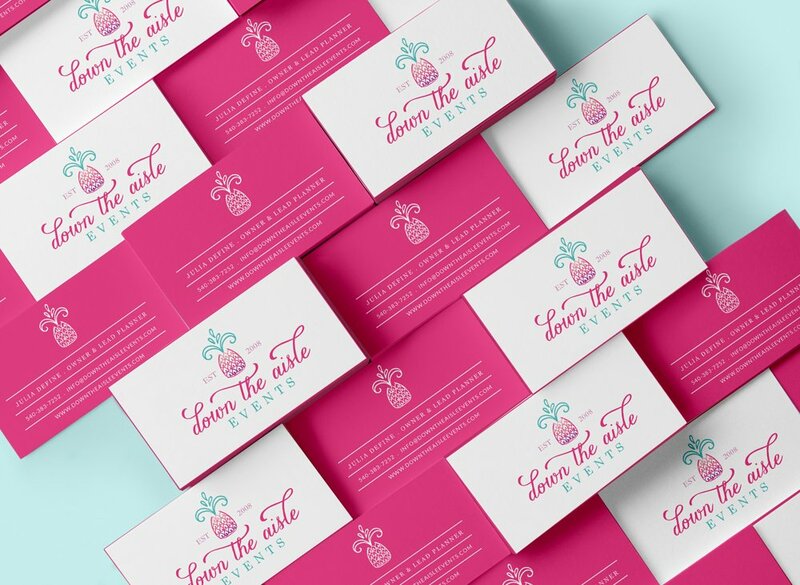 We also worked on a coordinating stationery suite, with a folder design, letterhead, 2-sided business card, envelope, and notecard design. I think those business cards would look really lovely in letterpress, don’t you think? 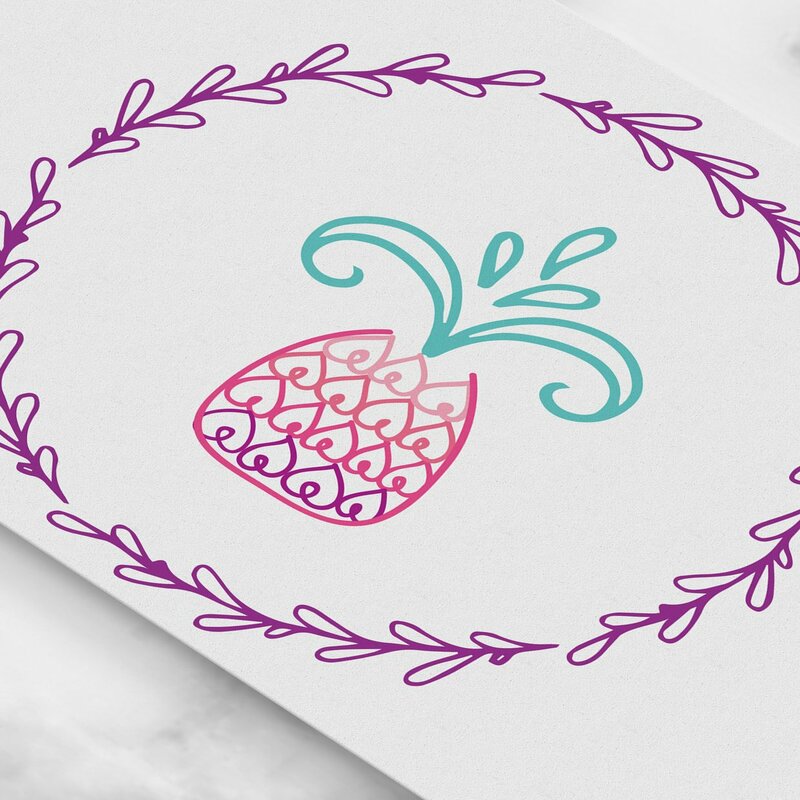 Here’s a closeup of the pineapple icon. Isn’t it adorable? This is one of my favorites! 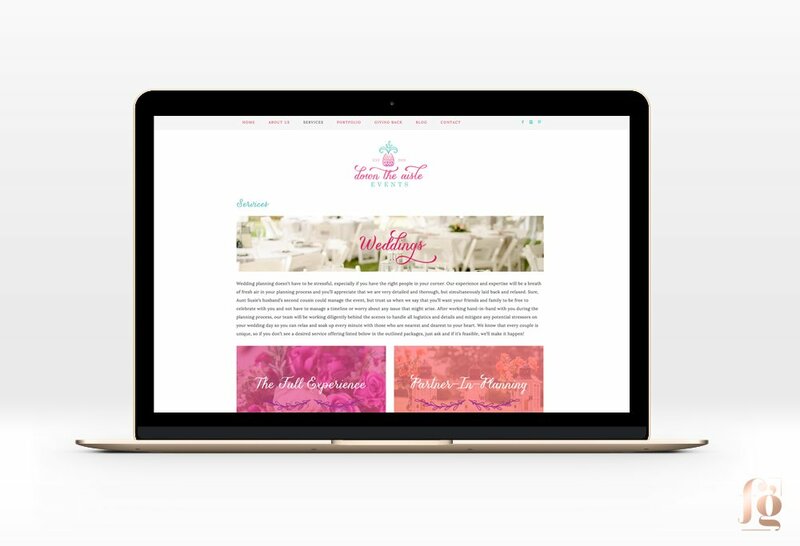 For her website design, Julia wanted something warm, inviting, and easy. Bright and cheery, authentic, and timeless were her keywords. 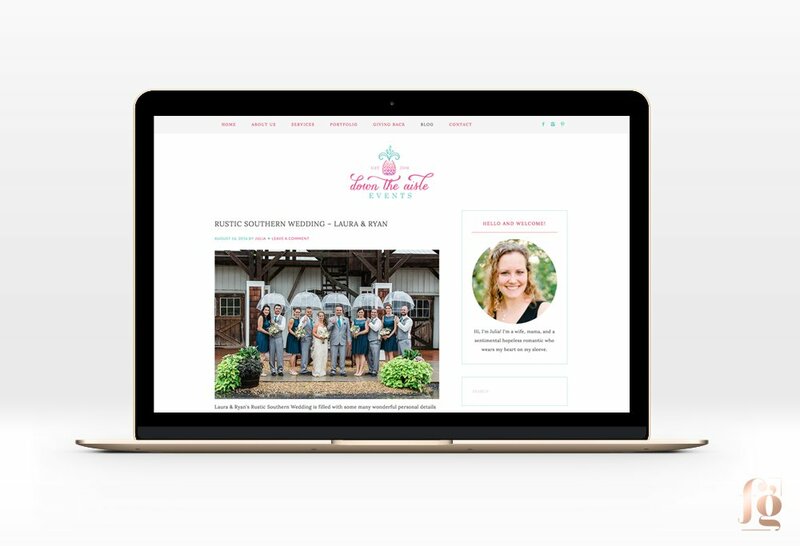 For her homepage slider, Ginny and Julia carefully chose photos that evoked emotion, and they had lots to choose from! 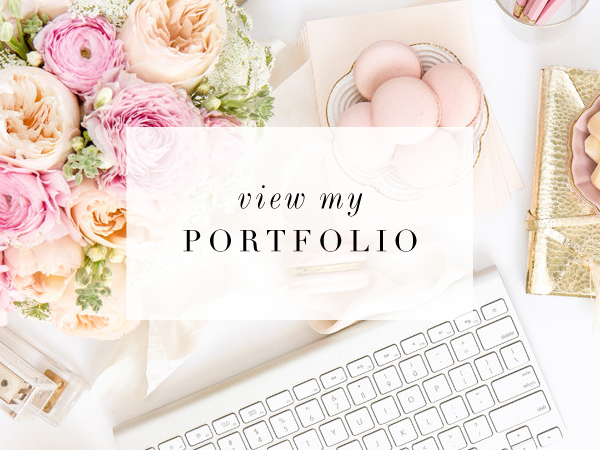 The site has a portfolio function as a custom post type. The portfolio archive page shows a grid of thumbails, which when hovered, shows the title of the portfolio entry and when clicked on, goes to individual galleries. This is a screenshot of her blog page. The website has an integrated blog where Julia posts featured events. The services page is also styled, with image headers and columns. 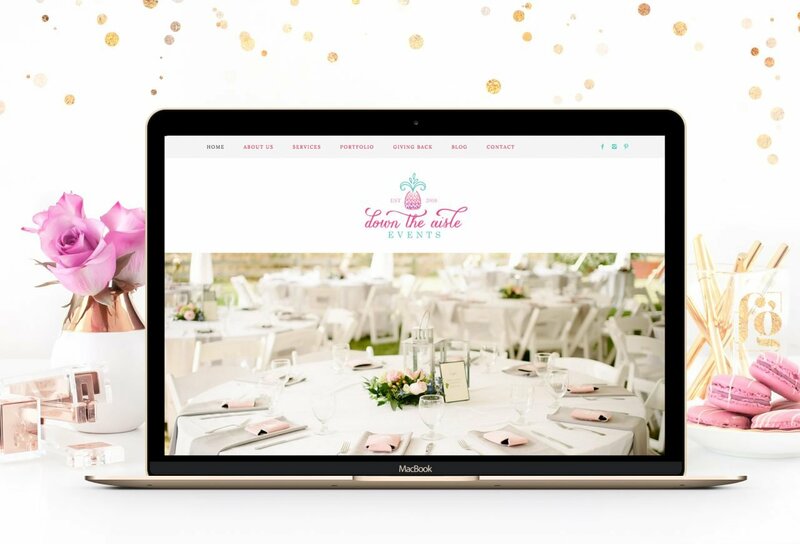 Downtheaisle.com is mobile responsive, like all my projects, and is built on the Genesis Framework. I loved working with Julia and Ginny on this project! Julia is so sweet, I can tell her clients all love her! 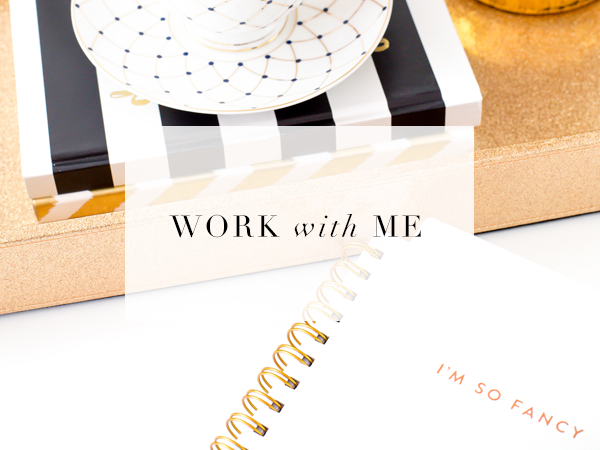 Do check out her site and leave her some love!